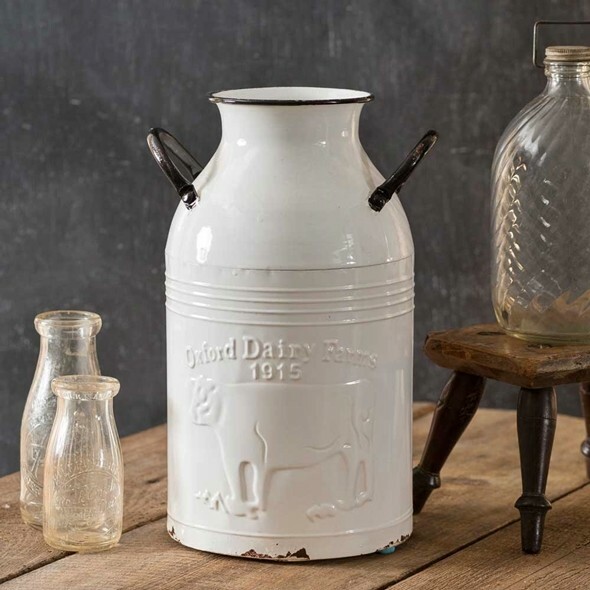 Dimensions: 14 1/2" x 10" x 8"
This white-enameled-metal vintage-look milk can features black metal handles and an embossed "Oxford Dairy Farms" cow graphic. this item would make a lovely vase/centerpiece for a rustic-themed wedding. PLEASE NOTE: Pictured glass jars and pedestal are not included.